Before you extend your online sales to international customers, you should understand the implications for your business. Explore this section to understand where Amazon has retail websites, what is required to ensure great customer experience worldwide and how to maximize the likelihood that entering a new marketplace will pay off. These marketplaces represent many of the world’s largest e-commerce opportunities. When you register to sell in one of these Amazon marketplaces, you gain immediate access to customers who know and trust the Amazon buying experience. Expanding your sales to one or more Amazon marketplaces means you can benefit from the Amazon brand without shouldering the upfront costs of building business name recognition on your own in a new sales environment. When you select an Amazon marketplace in which to sell, you’ll need to understand whether your product is appropriate for your target country. First and foremost, make sure that you comply with all laws in each country. In addition, product standards differ across countries. For example, MP3 players operating on 110–220 V that use two-prong electrical chargers may not be appropriate for European marketplaces but could be appropriate for Japan. Similarly, feather beds you successfully sell in the U.K. would probably not sell well in the United States because the standard mattress sizes are different in each country. For more details, review product restrictions and other requirements in Taxes and regulations. When you prepare to enter a new Amazon marketplace, one early consideration you’ll have is whether your business can operate in the local language. Proficiency in the local marketplace language is necessary for providing customer support for a particular marketplace—a requirement for selling in an Amazon marketplace unless you use Fulfillment by Amazon. Local language proficiency is also helpful for conducting country-specific research and understanding how to best position your products. You might need to modify your products or reposition your marketing, copy, or packaging to better meet the needs of your new customers. The good news is that you don’t have to master French, German, Italian, Spanish, or Japanese to sell across Europe and in Japan. With Seller Central Language Switcher, you can manage your operations in all of these Amazon marketplaces in English, enabling you to quickly get up to speed on your international business by providing you a familiar interface you can quickly learn to use. In Europe, we have simplified managing your business across all of Amazon’s five marketplaces. The Amazon European Marketplaces account enables you to create and manage product offers in any and all of our marketplaces in the United Kingdom, France, Germany, Italy, and Spain. You control what you sell where, and you manage your business from a single seller account interface. When you sign up to sell in one Amazon European marketplace, for example on Amazon.co.uk, your seller account is automatically enabled to sell in all other Amazon European marketplaces—Amazon.de, Amazon.fr, Amazon.it, and Amazon.es. Reach millions of international customers and let Amazon help you grow your international online business. All your orders will be managed in a single place, making trading in Italy feel just like trading in the United Kingdom. Instantly create listings in the target marketplaces based on products you are selling in your source (home) marketplace. Automatically reflect price changes in the target marketplaces whenever you make a price change in the source marketplace. Monitor exchange rate fluctuations and adjust prices in target marketplaces. How do I use Build International Listings? If you are an Amazon European Marketplaces account seller, you are able to use Build International Listings with no additional registration or startup costs. You simply enable Build International Listings, and it automatically enables each eligible product you have listed in your source marketplace to be listed in each of the target marketplaces you select. You can remove a connection to a target marketplace at any time. When those products sell, you pay a fee for each order shipped outside your home marketplace through the European Fulfillment Network, in addition to the normal Fulfillment by Amazon fees. When you sell in an Amazon marketplace, you are required to provide customer support in the local language of the marketplace. For instance, if you are selling on Amazon.jp or Amazon.es, you’re required to provide customer support in Japanese or Spanish, respectively. You can choose to do it on your own or have Amazon do it when you join FBA. Deciding where and what to sell in another country's marketplace can be similar to making these determinations for your home marketplace. However, there are some added considerations when selling internationally. One way to evaluate an international marketplace entry strategy is to use the '4Ps' marketing framework: Product, Price, Placement, and Promotions. Let's review each through the lens of selling internationally on Amazon. When selling internationally through Amazon for the first time, a natural approach is to think about your bestselling products in your home marketplace. From your previous experience and from data in sales reports, what sells well? It's also important to ask yourself why you think these particular products do well. Will these same reasons hold true for the marketplace you are entering, or are there other fundamentals driving customer demand in the new marketplace, such as culture, climate, and demographics, including average age and income? Also think about how differences in marketplaces can benefit you. For instance, do you have seasonal inventory that you don’t know what to do with after the season has passed in one marketplace? You can extend your selling season by selling abroad where the product may find a new audience. Learn how one seller successfully used international selling on Amazon to build a business. Tip: List broadly across multiple products rather than deeply in one or two products. Why? A broader selection of products means higher customer search exposure to your listings overall. This breadth can help you quickly gauge which products can be successful in a particular marketplace. You can start slow while still maintaining breadth of selection even if you’re not ready to commit a lot of your inventory to another Amazon marketplace. If your sales spike, you can adjust your price or remove listings to mitigate stock-out risk, just like in your home Amazon marketplace. For an even smaller commitment, you can start by fulfilling orders yourself rather than sending inventory to another country. Remember selling in another marketplace doesn’t mean you lose control over your listings. In deciding which products to sell in an Amazon marketplace, you of course have another key source of information available to you—observations of the marketplace itself. This sort of marketplace research should be very familiar to you from activities you likely conduct when selling in your primary Amazon marketplace. For this research, local language proficiency is extremely helpful. If you are trying to research a marketplace in a language unfamiliar to you, you may be able get some basic language interpretation from free online translator tools, but beware of relying too heavily on such tools. In your target marketplace, review the Best Sellers, New Arrivals, and Featured Brand selections for your product categories. Read customer reviews to understand your competition’s strengths and weaknesses. During this product research phase, you may find it helpful to broaden your search to e-commerce marketplaces beyond Amazon. Use a search engine to find relevant e-commerce sites by country. Trade publications and online seller communities in each country can also provide a rich source of information as you prepare to list products in their locales. Tip: Keep in mind that potential customers of a particular marketplace may not necessarily reside in the target country. Some customers in each marketplace may reside in a nearby country, prefer to shop in a particular language, seek products only available in a particular marketplace, or otherwise choose to purchase out-of-country. For example, an Amazon.de customer may reside in Austria. Shipping costs when you are shipping directly to international customers. International return shipping costs, if you are fulfilling orders yourself. Shipping costs to send your inventory to fulfillment centers abroad when you are using Fulfillment by Amazon. Learn more about shipping internationally in Ship and fulfill. Customer support costs if you are providing these services yourself in a local language or hiring a third-party provider to manage customer language support. Learn more about customer support in Customer support and returns. Conversion costs associated with getting paid in your home currency. Translation costs for listing ASINs in another language. Learn more about listing and translation in Register and launch. Taxes and duties. Learn more about taxes and duties in Taxes and regulations. As you can see, many of the variable costs change based on whether you decide to fulfill products yourself or use Fulfillment by Amazon. Review the Fulfillment options section for more details. If you already use Fulfillment by Amazon to fulfill Amazon customer orders, you can manage online sales from other channels using the same inventory pool. Use Multi-Channel Fulfillment—a feature within Fulfillment by Amazon—to fulfill orders that come from sales channels other than Amazon, including your own website, other third-party platforms, and even catalog or in-store sales. Learn more about Multi-Channel Fulfillment. Amazon Product Ads is an advertising service designed to provide Amazon customers seamless access to products available on external websites. As an advertiser, you simply upload your catalog and set your cost-per-click bids and budget. Amazon will then display your ads to Amazon.com customers when they shop for your product or related products. Customers who are interested in buying your product can click through to your Web site and purchase the product directly from you. Learn more about Product ads. As in your primary Amazon marketplace, Amazon provides tools that enable you to advertise and run promotions for your products. The promotional tools available vary by Amazon marketplace and may include Free Delivery, Money Off, Buy One Get One (BOGO), and External Benefits. Visit the Understanding Promotions Help page (sign-in required) for more details on the type of promotions available. To see the steps to creating a promotion, visit Creating a Promotion (sign-in required). Another way to increase exposure to your offers is through Amazon Sponsored Products, a cost-per-click advertising service that helps you promote the products you sell on Amazon.com through keyword-targeted ads. When customers outside your country purchase your products on Amazon, one way to fulfill these orders is to ship them yourself internationally. There are several things to consider when shipping internationally direct to your customers. The seller chooses a carrier that can ship internationally. The seller ships the product and is the exporter of record. Important: To ensure a good customer experience and manage your customer reviews and seller performance ratings, it is important that you do not expose customers to delays due to customs or unexpected charges associated with additional duties and taxes on their products. It is important that the seller take care of such matters when shipping the product. The carrier acts as the broker by default, according to the terms and conditions on the freight bill. The carrier will collect duties from the buyer upon delivery of the goods. It is also important to manage customer expectations. You should provide customers with accurate information about the country from which you are shipping your product. Specifically, you need to accurately state the 'shipping from' country in your seller profile and manage customer expectations by stating the actual shipping times from your country. You will be responsible to meet the shipping expectations for all orders you receive. Package dimensions and weightShipping costs when you are shipping directly to international customers. Delivery timeInternational return shipping costs, if you are fulfilling orders yourself. Source (where you are shipping from) and destination (where you are shipping to). Costs can be considerably higher for international destinations. In addition to the above charges, you should be aware of customs duties and taxes that will need to be paid. Amazon will not be responsible for any customs duties and taxes associated with FBA inventory. Any shipments arriving at an Amazon fulfillment center with customs duty charges due will be returned to sender. Fulfilling an order internationally will take more time than doing so domestically. Shipping times are reflected in the offer detail and may make your offer less competitive relative to domestic counterparts. Figuring out what to sell and how much of it to keep in inventory can be a challenging task in any new marketplace. The Amazon Selling Coach dashboard on the home page of your Seller Central account.Package dimensions and weightShipping costs when you are shipping directly to international customers. E-mail notifications.Delivery timeInternational return shipping costs, if you are fulfilling orders yourself. Cross-listing Opportunities (Europe only): Based on your home marketplace inventory, you will receive recommendations on products you can sell in other European marketplaces. Product Opportunities: Increase your selection on Amazon by adding listings for these products, which customers have recently shown interest in and have limited availability on Amazon. Since you have listed similar products in the past, we want to let you know of this customer interest and help you identify valuable growth opportunities for your business. Fulfillment Opportunities: We want to make you aware of high customer interest in products you offer that currently are not offered through Fulfillment by Amazon (FBA). If you offer these products through FBA, they may become eligible for free shipping, Amazon Prime, or other FBA benefits that customers love. Low Price Opportunities: Many sellers have told us that they would like to be informed when there are comparable offers with lower prices. The Match Low Price feature considers the lowest price currently available for active listings in Amazon marketplaces. Now that you have an idea of where you'd like to expand your business, it's time to explore how Taxes and regulations might affect your business for each marketplace in which you intend to sell. This section provides an overview by region of the Taxes and regulations you should be aware of when selling in Amazon’s various marketplaces and enlisting third-party resources. We recommend that you consult your tax and regulatory advisors before making decisions about how you will sell in other marketplaces. Every country has legal and industry requirements concerning sales of products to consumers. In your home marketplace, there may be laws that pertain to intellectual property rights, product safety, environmental, and other applicable requirements. The same is true for all marketplaces. Do your research and understand your responsibilities. Some things to consider are tax and customs, intellectual property rights, paralell importation, export controls, marking and labels, environment, health, and safety, and product compliance. More than $20,000 in unadjusted gross sales. IRS regulations require non-U.S. taxpayers to provide Form W-8BEN to Amazon in order to be exempt from the U.S. tax reporting requirements. Individual sellers that exceed 50 transactions in a calendar year, regardless of sales volume. During your seller account registration, you can provide your information to Amazon using a self-service interview process that will guide you through entering your taxpayer information and validating your W-9 or W-8BEN form. In order to fulfill the IRS requirements as efficiently as possible, answer all questions, and enter all information requested during the interview. You can also find the interview form in Seller Central, under Settings > Account Info > Legal Entity. If you are a U.S. taxpayer, by completing the tax interview in your seller account, you will be providing Amazon the appropriate tax identity in the form of a W-9 or W-8BEN form. For U.S. taxpayers, a Taxpayer Identification Number (TIN) is required by the IRS for the administration of tax laws. In most cases, your TIN is either an Employer Identification Number (EIN) or a Social Security Number (SSN). If you are a foreign seller and not a U.S. taxpayer, you will still need to complete the tax interview. The responses you provide to the tax interview questions will create the appropriate tax form on your behalf. IRS regulations require non-U.S. taxpayers to provide Form W-8BEN to Amazon in order to be exempt from U.S. tax reporting requirements. Note: It is your responsibility to ensure all goods comply with applicable regulatory requirements. Customs entry forms ask for your importer number. This is either your IRS business registration number, or if your business is not registered with the IRS or you do not have a business, your Social Security Number. If you have neither a business tax number nor a Social Security Number, and you are a non-resident of the U.S., you may contact the port where your goods will enter the country and ask them to assign an importer number to you by filing a CBP Form 5106. Merchandise arriving in the United States by a commercial carrier must be entered by the Importer of Record (IOR). The IOR can be the owner, purchaser, his or her authorized regular employee, or by the licensed customs broker designated by the owner, purchaser, or consignee. Customs brokers are the only persons who are authorized by U.S. customs laws to act as agents for importers in customs matters, including customs clearance of imported goods. Customs brokers are private individuals or firms licensed by CBP to prepare and file the necessary customs entries, arrange for the payment of duties owed, take steps to release goods from CBP custody, and otherwise represent importers (i.e., principals) in customs matters. The fees charged for these services may vary according to the customs broker and the extent of services performed. To obtain a customs broker, visit the Ports section of the U.S. Customs and Border Protection website. Select the state you will be importing into, click on the city, then find a link for “Broker listing” below the city information. Appoint a resident agent: A non-resident (foreign) IOR must appoint a resident agent to receive documents on their behalf. Typically, non-resident IORs designate their customs brokers as their resident agent. The non-resident IOR makes this designation through a written power of attorney. If your goods are being imported via an express courier (DHL, FedEx, UPS), the courier automatically utilizes Customs Brokers to clear your goods on your behalf. Customs Brokers charge for their services, so you may want to contact a few to discuss rates. Procure a customs bond: Customs regulations require that the IOR file an import entry bond (also known as a continuous entry bond) guaranteed by a resident surety company. The bond serves two purposes. First, customs can execute against the bond if the IOR fails to pay assessed duties. Second, the IOR is bound by the conditions of the bond for any liquidated damages arising out of its breach of those conditions. The conditions of the entry bond include but are not limited to: payment of duties, taxes and fees; making or completing timely entry; and keeping and producing required documents and evidence related to the importation for five years. Customs keeps a list of approved surety companies. Sureties usually request certain financial information to ensure that the IOR has sufficient resources to pay customs duties and charges. A customs broker may assist with finding a surety for the bond and preparing the bond documents. Customs bonds can also be obtained through a surety licensed by the Treasury department. A list may be found on Treasury's Financial Management Service's website (http://www.fms.treas.gov/c570/c570.html). Be aware some brokers will not issue you a bond without you giving them power of attorney to file your entry or entries on your behalf. In lieu of purchasing a bond from a licensed - or corporate - surety, you may pledge cash. Obtain an IOR number: An IOR must apply for an IOR identification number from U.S. Customs (this is typically the company’s IRS number for US companies or a number assigned by U.S. Customs for foreign entities). Customs brokers can also assist with obtaining a number, or you may request that an importer number be assigned for you by filling out a CBP Form 5106 and giving it to the CBP entry branch where you will be filing your customs entries. You should ensure that you have all intellectual property rights (for example, patents, trademarks, or copyrights) necessary for listing your products in the United States. In particular, your products must not be counterfeits. Listing prohibited intellectual property may result in the cancellation of your listings, or the suspension or removal of your selling privileges. Sellers are responsible for ensuring that the products they offer do not infringe the intellectual property of others. If we determine that the content of a product detail page or listing is prohibited, potentially illegal, or inappropriate, we may remove or alter it without prior notice. Restricted products for import into the U.S. In order to sell in Canada, you will need to pay destination duties, taxes and customs clearance fees before your product can be sold to Canadian residents or stored in an Amazon fulfillment center. You or your designated agent must act as Importer of Record and be reported as such on customs declarations. Any person or entity residing outside of Canada but wishing to import into Canada is required to become a Non-Resident Importer (NRI). An NRI is a foreign-based company, including those residing in the United States, that does not have a permanent presence in Canada but imports into Canada under their own name and business number. The business number (BN) has 15 digits: nine numbers to identify the business, plus two letters and four numbers to identify the program and each account. The BN must be obtained prior to the first importation. You can register for a business number, or add an import-export account to an existing business number, by calling 1-800-959-5525. You may also obtain a business number by registering online or by completing Form RC1, Request for a Business Number (BN). Send the completed form to your nearest Tax Center. The Canada Border Services Agency (CBSA) will give you an account free of charge as soon as they receive the form. You must provide your import-export account on your customs documents. This applies to most shipments that enter Canada. You only use your import-export account for importing or exporting. Most imported goods are subject to tax at a rate of 5 percent. If duty is applicable, duty is added to the value of the goods and that is the amount that tax is charged on (essentially, you also pay tax on duty). It is your responsibility to comply with all Canada Customs laws and regulations, including applicable duty and tax requirements. When you make a sale on Amazon.ca, the sale may be subject to Goods and Services Tax (GST) or Harmonized Sales Tax (HST) depending on the province of supply. If you are collecting tax on your sales in Canada, you are required to register for the GST/HST in Canada and remit the amount that is over and above what you originally paid out. The frequency in which you remit this amount is determined by your annual sales in Canada. Lower-volume sellers on Amazon.ca will generally fall in the category of a yearly filer, meaning once a year they are required to report the amount of tax you paid on your imports. You can register yourself with the Canada Revenue Agency at no charge. After your importer number is issued, you will receive a questionnaire from the Canada Revenue Agency to complete and return. GST registration will be completed approximately six to eight weeks after the form has been submitted but is usually backdated to the date of application to allow you full credit on all imports. For further information on GST/HST in Canada, visit the Canada Revenue Agency website or call the agency at 1-800-959-5525. Selling in Europe provides opportunities to reach many countries from a single account, so it's important that you understand how the European Union applies Value Added Tax (VAT) to orders made online. As described by the European Commission, the VAT in the European Union (EU) is a consumption tax assessed on the value added to goods and services. It applies to goods and service that are bought and sold for use or consumption in the EU. Although goods that are sold for export or services that are sold to customers abroad are normally not subject to VAT, imports into the European Union are taxed. Value Added Tax is charged to the buyer as a percentage of the price of the goods sold. The seller of the goods transfers the collected VAT to the revenue authorities but can deduct the amount of VAT it has paid to other “taxable persons” on purchases for business activities. Learn more about the Value Added Tax (VAT). European law requires a minimum standard VAT rate of 15% (or at least 5% for the reduced rate), and actual rates vary between EU countries and between types of products. Consult a particular country’s VAT authority for current VAT rates for the products you want to sell. Tip: If you're selling in multiple Amazon European marketplaces, you may need to apply for a unique VAT number in each of the member states in which you sell. Please see the Other Resources for additional VAT information by country. If you import products into the European Union, you may be obliged to pay VAT the moment the goods enter Europe—and in the destination country where you ship the goods. VAT is usually payable in the member state of import by the declarant. You will be liable for the import VAT at the time of delivery of the goods unless you have entered into an arrangement with your supplier for the import VAT to be included in the price of the goods, and for the supplier to discharge the obligation by making a payment to the relevant tax authority. When you sell your products in Europe, you may need to charge VAT. You may need to request a VAT registration number, file VAT returns, and pay the VAT you collected from your customer to the tax authorities. In most European countries, you can register online on the tax authority’s website for the country where you want to register. Most of these websites provide the VAT information in English. The website will usually provide an online form for registering or a PDF form you can download to complete and return by mail. If there is no provision for registering online, you can find out where to go to register for a VAT number. After you have submitted your request for a VAT number, you may also be sent forms to sign and return through postal mail. Registering for VAT may lead to a number of associated compliance requirements, including the need to file reports and issue VAT invoices. When you sell products to customers from your inventory stored in Europe, you may need to file VAT returns in the country from which you ship your products, and you may be required to file VAT returns in the country to which you ship your products (when exceeding the threshold for so-called “distance selling”). Please see the Other Resources for additional VAT information by country. In many European countries, customers expect a VAT invoice. VAT laws in the country where the customer is located may require you to provide a VAT invoice, and customers’ expectations usually go beyond the law. In Germany and Italy, for example, customers often expect an invoice for high-value items. Third-party tax advisors have hosted webinars on tax issues that cross-border Amazon Sellers face. You can review the webinar recordings as well as materials from the webinars below. When you import goods into the European Union (EU), you will need to comply with EU customs laws, as well as laws and regulations that are applicable to the EU country of import. Please note that you are not authorized to import your goods in the name of Amazon EU S.à r.l. or any other Amazon subsidiary or affiliate (indistinctly referred to as "Amazon" and its corporate name as an "Amazon name") or to reference Amazon anywhere in your shipping documentation. Otherwise, your shipments may be returned to their origin, abandoned, or destroyed at your cost, at the discretion of the carrier or freight forwarder carrying your goods. Importation regulations may differ between countries in the EU and will depend on the mode of shipping you choose. Therefore, you should strongly consider hiring a logistics provider, such as a customs broker or freight forwarder, to handle the importation process for your company and help you understand all applicable requirements. Invoice issue date.More than $20,000 in unadjusted gross sales. The complete name and address of the exporter or shipper (seller or manufacturer).More than 200 transactions. The shipper's contact name, company name, address, and tax ID number.The complete name and address of the exporter or shipper (seller or manufacturer).More than 200 transactions. Importer of record: Provide the legal name of your company or EU import representative, along with full contact details, Economic Operators' Registration and Identification number (EORI) and VAT registration number for the country of import (example below). Prior to shipping, you should consider ensuring that your company or representative can fulfill all criteria to act as importer of record in the country of import. Amazon expressly prohibits the use of an Amazon name, including a fulfillment center's name, as the importer of record for any shipment of FBA inventory. Any FBA inventory shipment attempting to make entry with an Amazon name as the importer of record will be refused and returned at the shipper's expense—no exceptions. Leaving this information blank also can result in your shipment being refused and returned.Ship-to address. Provide the legal name of your company, followed by "c/o FBA." Below this, you may use the address of the Amazon fulfillment center to which your goods should be delivered. Amazon does not, however, authorize you to include any Amazon name in this address. Please see the example below.The complete name and address of the exporter or shipper (seller or manufacturer).More than 200 transactions. Please note the differences in addresses. The "Ship-to" address includes the Amazon fulfillment center, while the "Importer of record" address includes the seller's or seller representative's registered address. FBA Shipment ID (FBA reference). This is the number you receive when you create the shipment in your Amazon seller account. This ensures that Amazon can quickly identify the shipment as belonging to FBA if customs questions arise. If your FBA Shipment ID in Seller Central does not contain "FBA," please add it in a visible place on the invoice.The complete name and address of the exporter or shipper (seller or manufacturer).More than 200 transactions. Additional information may also be required. These requirements are subject to change. It is your responsibility to determine and comply with import requirements. Depending on the type of product, there may be additional certificates and licenses required for import. These can include a Declaration of Conformity, test reports or leather certificates. Please note that the document requirements listed above are in addition to the system-generated document requirements specified in the Shipment Creation Workflow. Please check with your logistics provider or customs broker to ensure that you have the complete documentation needed to import into the EU destination country. Amazon fulfillment centers have requirements for the shipments they receive, including the size of the pallets and the type of truck that can deliver to the fulfillment center. The How to Ship Inventory to Amazon guidelines provide information needed for preparing your shipment to an Amazon fulfillment center. Paying attention to these requirements and best practices will help avoid delays in getting your inventory to the fulfillment center and into your customers' hands. Using postal services such as China Post, Royal Mail, Parcelforce, and Deutsche Post to send your shipments to Amazon fulfillment centers is not recommended. Postal services may have different importer of record requirements for their shipments than for freight or express carrier shipments. It is possible that by using postal services to ship your goods, you could not ship to an Amazon fulfillment center as the IOR. If you are considering a postal service as a shipping option, you should consider sending the shipment to the address of your representative in the country of import and, after the shipment is delivered, forward the goods to the Amazon fulfillment center address. Prior to shipping, you may want to check with the postal service that your company or representative can be the importer of record. For additional information regarding FBA imports and exports, please read the Importing and exporting inventory page. You should ensure that you have all intellectual property rights (such as patents, trademarks, or copyrights) necessary for listing your products in Europe or selling them cross-border within Europe. You may need to have the permission of the brand owner to sell their products in a given European member state in order to avoid an infringement of intellectual property rights (as in the case where your license to the intellectual property is only valid for a specific country). In particular, your products must not be counterfeit or illegal parallel imports. You should investigate the law governing intellectual property for every country where you want to list your products because your rights in intellectual property may only be valid for a particular country. In addition, you may want to protect your own intellectual property in Europe. Trademark owners may be able use their trademark rights to prevent re-sale in the European Economic Area (EEA) of genuine branded goods sourced from outside the EEA 2, even if the non-EEA seller has purchased the goods outside the EEA from an authorized distributor or the trademark owner. However, the trademark owner’s rights may generally be “exhausted” (for instance, the trademark owner can no longer rely on its trademark rights) in respect of goods placed within the EEA by the trademark owner or with the trademark owner’s "consent." The "consent" must in principle relate to each individual product imported and sold in the EEA. Trademark rights may therefore generally not be exhausted simply by the proprietor having consented to the sale of other, identical branded goods within the EEA. Even when the goods have been placed in the EEA by the trademark owner or with the trademark owner’s consent, the trademark owner may have "legitimate reasons" for objecting to the re-sale of the branded goods. The branded goods have been altered by the reseller.All Professional sellers. The branded goods have been repackaged by the reseller. The reseller’s advertising of the goods in some way denigrates the goods or the trademark. Whether trademark owners may use their trademark rights to prevent re-sale in the EEA depends on the specific circumstances of each case, and we strongly recommend that you consult legal counsel to determine whether your products may be legitimately sold in the EEA. The “CE” mark is a mandatory conformance mark on many products (such as low-voltage equipment, medical devices, toys, personal protective equipment, and so on). By attaching the “CE” marking, the manufacturer declares that the product is in conformity with the requirements of the applicable European directives. There are many other marks and labels in Europe (for example, textiles, products in contact with food, recycling, and so on), which you may be required to display on your products or packaging. Often product labelling is required to be in the language of the European member state where the product is sold. REACH is the European regulation on chemicals and their safe use. It deals with the Registration, Evaluation, Authorization and Restriction of Chemical substances. Under the REACH regulation, one of the things manufacturers and importers may be required to do is to gather certain information on the properties of the chemical substances in their products, and to register the information in a central database run by the European Chemicals Agency (ECHA). In addition to REACH, the Regulation for Classification, Labeling, and Packaging of Substances and Mixtures (CLP Regulation) may apply to your products. The CLP Regulation incorporates the classification criteria and labeling rules agreed at the United Nations level, the so-called Globally Harmonized System of Classification and Labeling of Chemicals (GHS). GHS is based on the principle that the same hazards should be described and labeled in the same way all around the world. If you are selling electrical or electronic equipment, you may be subject to the European legislation concerning Restrictions of the Use of Hazardous Substances (RoHS) and/or the collection and recycling of Waste Electrical and Electronic Equipment (WEEE). Displaying the “crossed-out wheeled bin” symbol on your products. The symbol indicates that the product should not be disposed of as normal waste, but rather in specific recycling centers. Joining an authorized WEEE collection and recycling scheme in any European member state in which you sell applicable products. If you sell batteries or products that contain batteries, you may be subject to the Battery Directive. The Battery Directive imposes specific obligations on producers and distributors of batteries. Displaying the “crossed-out wheeled bin” symbol on your batteries. The symbol indicates that the battery should not be disposed of as normal waste, but rather in specific recycling centers. Joining an authorized battery collection and recycling scheme in any European member state in which you sell your batteries. Packaged products you sell in Europe must comply with the European Packaging and Packaging Waste regulations. Joining an authorized packaging collection and recycling scheme in any European member state in which you sell your products. Displaying recycling symbols on your packaging (for example, the “green dot” symbol). Countries in Europe use different types of plugs—for instance, the U.K. 3-pin rectangular plug and the continental European 2-pin round plug. In addition, products you import into Europe might work on a different voltage. Please ensure that you comply with the regulations on plugs and voltage in any European member state in which you list your products. In particular, your customers should be able to safely use your products. For more information regarding what plugs and sockets are accepted in EU fulfillment centers, visit the Electrical Goods Requirements: Plugs and Sockets help page (Seller Central Europe account required). The European Toys Safety Directive requires, among others things, that it must be possible to use a toy without any danger to one’s health or safety during the toy’s foreseeable and normal period of use. You may also be required to place warnings on the products that specify the appropriate conditions and limitations of use. Medical devices range from simple products like bandages to the most sophisticated life-supporting products. If your product is considered a medical device, you may be subject to the European Medical Devices Directive. The Directive requires, among other things, that medical devices shall not compromise the safety and health of patients, or users and other persons when properly implanted, maintained, and used. Pharmaceuticals and cosmetics are subject to various regulations in Europe, including special labeling and packaging requirements. The regulations are only partially harmonized. For example, a product may be sold over-the-counter in some European member states, while in others it may only be legally sold in pharmacies. Food and food products are subject to many regulations in Europe. European food regulations in particular aim at establishing high-quality standards for food and food product hygiene, animal health and welfare, and plant health, and prevent the risk of contamination from external substances. Specifying rules on appropriate labeling for food products. Often product labeling is required to be in the language of the European member state where the product is sold. Establishing mandatory refund and recycling schemes for beverage packaging in several European member states. Please note that these consumer rights are described for illustrative purposes only and do not constitute any legal advice or substitute for any contractual obligation that you may have agreed upon with Amazon or directly with the consumer. To learn more about rules that apply to international sellers, check out Global Selling International Seller Rules here. There is an error on your side. You agreed to bear all costs for the consumer. You failed to disclose or inform the customer about the costs that you are legally required to disclose. For example, you must refund the normal cost of sending the item to the consumer but not any extra costs for services that the customer chooses, such as expedited delivery or gift-wrapping. Similarly, when you expressly inform the consumer, you don't have to bear the cost of returning the product to you. Please note that these consumer rights are in addition to any contractual return rights that you may have agreed upon with Amazon (e.g. 30-day return guarantee) or directly with the consumer. In the EU, you are required by law to give customers a warranty stating that the products you sell are free from faults and are as advertised (i.e., conformant with the contract). Standards exist to assess when products do not conform to the contract. If the products do not conform, customers can request a free repair, replacement, or refund following a sale. The warranty period will vary depending on the country. Most EU countries provide for a minimum period of two years from the date the customer received the product. The United Kingdom, however, requires a "reasonable time" following the sale that will vary depending on the product and its value. The period during which you can receive a warranty-related claim from a customer also varies by country. For example, parties to a contract in England and Wales have up to six years to bring a claim from the date on which their rights were infringed; a customer thus may claim that a product is faulty six years after receiving it. This section covers tariff and duty rates, prohibited goods, and non-residential requirements for sellers interested in selling in Japan. It is the seller’s responsibility to comply with all Japanese customs laws and regulations, including applicable duty and tax requirements. Any goods imported into Japan are subject to the Import Consumption Tax. Some goods are subject to customs duties. The harmonized classification schedule in the Customs Tariff Law sets forth both the classification and the corresponding customs duty rate of particular products. The amount of consumption tax payable on imported goods is calculated on the basis of the customs value of the goods plus customs duty payable and, where applicable, other excise taxes payable. When certain kinds of goods, such as liquor, tobacco products, petroleum, and liquefied petroleum gas (LPG), are imported into Japan, excise taxes may also be imposed as stipulated in the respective law concerned. In these cases, the amount of taxes payable is calculated based on the quantities of the imported goods. Japan strictly forbids the importation of certain goods. Please refer to Import Procedures for additional information. A Fulfillment by Amazon (FBA) seller who lives outside of Japan (non-resident) and would like to import goods into an Amazon Japan fulfillment center for storage and order fulfillment must first designate a proxy (attorney)/agent to the Director-General of Customs allowing the agent to import on the seller’s behalf. This must be accomplished in advance of any importations. In general, any person who is a resident of Japan can be appointed as the proxy/agent, but this person is obliged to complete the import declarations and pay duties and taxes on behalf of the non-resident seller. Neither Amazon nor any of its entities in Japan may act as the importer of record on the customs declaration—only the FBA seller or their designated agent. Please see Other resources in the ship and fulfill section for companies that can help guide you through the import process in Japan. It is the seller’s responsibility to comply with all Japanese customs laws and regulations. When you import goods into Japan, you will need to comply with all Japanese customs laws and regulations. When importing goods into Japan, please note that you are not authorized to do so in the name of Amazon or to show Amazon as the declarant, importer of record, or consignee on any customs documentation. Visit Japan Customs for useful information regarding importing goods to Japan. Note: The listed price of your products must include all applicable charges and taxes. When importing electrical appliances in Japan, the product must comply with the standard under the Electrical Appliance and Material Safety Law. This law prevents the sale of hazardous products and any electrical appliance that are considered a safety hazard. The importer has the obligation to conform to this law and attach the PSE Mark, which acts as proof of conformity, onto the confirmed products. Visit Electrical Appliance and Material Safety Law for more information. To sell products that emit radio frequencies, the product must conform to the technical regulations specified in the Radio Law, and the product must have a Technical Conformity Mark, which acts as proof that the product is in accordance with the law. Visit the Radio Use website for more information. Download Outline of the Consumer Products Safety Act (PDF) for more information. The Household Goods Quality Labeling Law provides labeling obligations in order to enable consumers to make informed buying decisions when purchasing household goods. The law establishes what must be displayed on product labels in order to provide appropriate information for the product. The law applies to textile goods, plastic manufactured goods (such as water purifiers, baby feeding bottles), electrical appliances, and miscellaneous manufactured goods sold in Japan. When you sell food products and products intended for infants and small children (such as feeding bottles, eating utensils, plates, and toys), you must comply with the Food Sanitation Act, which ensures food safety for the public. Visit the Food Sanitation Act for more information. Also, any food products sold in Japan must have proper labeling to inform the consumer on information such as, but not limited to, ingredients, origin of ingredients, nutritional information, transfatty acid, and transfat labeling. Visit Consumer Affairs Agency, Government of Japan for more information. Pharmaceutical products and medical devices sold in Japan must comply with the Pharmaceutical Affairs Act. Visit http://www.customs.go.jp/english/summary/import.htm (Japanese) or consult with a professional before selling these products. Please ensure that you do not infringe intellectual property rights of other parties when you sell your products in Japan. You are prohibited from selling counterfeit or illegal parallel imports. You may also want to consider protecting your own intellectual property rights in Japan. Visit the Japan Patent Office for more information. Once you've figured out where to sell and have an understanding of the taxes and regulations for the marketplaces of your choice, registration is only a few clicks away. In the following section, we review the process of creating a Seller Central account in your selected Amazon marketplaces and creating product offers to start selling. You will need to set up your Amazon selling account for the online marketplace where you want to sell. Even if you already sell in one Amazon marketplace, you will need to create a new seller account in another marketplace. For example, if you sell in the United States or in Japan and want to sell in the United Kingdom, you need to create a new Amazon seller account for Amazon.co.uk. The exception to this is if you already sell in a European marketplace, such as Amazon.co.uk, and want to sell in another Amazon European marketplace, such as Amazon.de. In this case, you can do so from your current seller account, because Amazon offers a Unified Account for European marketplaces. In the EU, Amazon has online registration processes in the local language—German for Amazon.de, French for Amazon.fr, Italian for Amazon.it and Spanish for Amazon.es. If you do not speak these languages and are interested in selling in any of these marketplaces, register to sell on Amazon.co.uk in English and then create offers across any of the EU marketplaces with the Unified Account. Please note that Amazon.in and Amazon.cn have unique registration and selling requirements for sellers based outside India and China, respectively. Please see the India marketplace page and China marketplace page on this site for additional information. When you register to sell in the U.S. on Amazon.com, you will need to provide a valid credit card, phone number, and tax information. For taxes, you will be required to go through an online step-by-step interview that will determine whether you will need to complete a W-9 form (as a U.S. taxpayer) or a W-8BEN (as a non-U.S. taxpayer). When you register to sell in Canada or Mexico, on Amazon.ca or Amazon.mx, you will need to provide a valid credit card, phone number, and tax information. In North America, we have simplified managing your business across the United States, Canada, and Mexico marketplaces. The North America Unified Account enables you to create and manage product offers in the U.S., Canada, and Mexico. You control what you sell and where you sell from a single seller account interface. When you sign up to sell on Amazon.com, Amazon.ca, or Amazon.mx, your seller account is automatically enabled to sell in both marketplaces. You can switch between marketplaces using the marketplace switcher in Seller Central. This allows you to list products and manage orders in each marketplace. ion fees. However, for all per-item sales, you will pay the fees applicable to the marketplace in which the item was sold. In order to sell across the U.S., Canada, and Mexico, you will need to create listings on Amazon.com, Amazon.ca., and Amazon.mx. Please note that creating offers in the first marketplace where you register (e.g., Amazon.com) and begin selling does not automatically populate offers in the other marketplace (e.g., Amazon.ca); if you want to sell in all three marketplaces, you will need to create offers in each marketplace. See the Listing creation section for more details. Finally, when setting up a North American Unified Account, you’ll need to provide a bank account in one of the countries supported by Amazon. Currently, Amazon supports U.S., Canadian, and Mexican bank accounts, as well as bank accounts in other countries across the globe. For more details (including a list of supported countries), please see Amazon Currency Converter for Sellers (ACCS). You will need to provide a valid credit card, phone number, and tax information. You will also need to provide a VAT number. Although you can complete your registration without a VAT number, you will be required to provide one in order to sell in Europe. To find out how to register for VAT number, see Taxes and regulations. In Europe, Amazon has unified its marketplaces, allowing you to create and manage product offers in one or more of the following marketplaces: Amazon.co.uk, Amazon.fr, Amazon.de, Amazon.it, and Amazon.es. You control what you sell and where, and you manage your European business from a single seller account. When you register to sell in any of the Amazon European marketplaces, your seller account is automatically enabled to allow you to sell in all other Amazon European marketplaces. All your orders will be managed in a single place, making selling in Italy feel just like selling in the U.K. However, you will still need to satisfy the Amazon seller rules applicable to the countries where you sell. These are basic rules to ensure Amazon’s customers enjoy the best possible shopping experience. You’ll also need to be aware of the local and European tax and regulatory requirements, and it’s your responsibility to ensure that you comply with applicable requirements. Please also note that when you sell in any of the Amazon marketplaces in Europe, you will be subjected to country-specific per-item fees which are payable to Amazon upon sale of an item. In order to sell across Europe, you will need to create listings in each of the Amazon European marketplaces where you want to sell. Please note that creating offers in the first European marketplace does not automatically populate offers in the other European marketplaces; you will need to create offers in each of the marketplaces where you want them. See the Listing creation section for more details. Finally, when setting up an Amazon European seller account, you’ll need to provide a bank account in one of the countries supported by Amazon. Currently, Amazon supports U.K. and U.S. bank accounts, as well as bank accounts in all Eurozone countries. Amazon.co.jp offers an online seller registration process in English and Japanese. Once you have set up your account, you can choose Japanese or English to manage your account in Seller Central. Currently Amazon.in is only open to sellers with a locally owned business in India. If you meet this criteria and are still interested in selling on Amazon.in, please contact us. Use a bank account in the marketplace where you want to list. Use Amazon Currency Converter for Sellers (ACCS). Use a third-party currency conversion service. If you prefer to maintain a high level of control over your financial accounts, you can open a bank account in the country where you want to sell. This is typically a more complex process, as you may need to create a legal business entity in that country, so consult your legal, tax, and banking advisors. If you’d prefer not to open an account in the country of another Amazon marketplace, you have the option of using Amazon Currency Converter for Sellers (ACCS). With ACCS, you can be paid directly in your local bank account in local currency, provided you have a bank account in a country supported by Amazon. Regardless of the country in which you reside, you may only receive payment to a bank account in a country and currency supported by ACCS. The table below shows the currencies supported by ACCS for each marketplace account. When you enter a non-U.S. bank account, you must accept the terms and conditions for using ACCS to receive payment to that bank account. Every disbursement will automatically be transferred to your local bank in the local currency. If you switch to another non-U.S. bank, you must accept the ACCS Terms and Conditions again when you enter your new bank account details. Note: If your bank is not based in one of the countries supported by Amazon Currency Converter for Sellers, ACCS will not be able to disburse payments to your bank account. You will need to open a bank account in one of the countries supported by Amazon—either a bank account in one of the countries where Amazon has a marketplace or a bank account in a country supported by ACCS. On the Settings link, click "Account Info." Click the "Edit" button next to "Deposit Method." Select the country of your bank account from the drop-down menu next to "Bank Location Country." If your bank is based in one of the countries supported by Amazon Currency Converter for Sellers other than the United States, please make sure that you read and accept the terms and conditions of the Agreement in the "Bank Account" section in order to be paid in your local currency. If you have entered a non-U.S. bank account and you have a positive balance in your seller account, you can view the applicable exchange rate for transfers to your bank account by clicking the "View Exchange Rate" button on the Payment Summary page. The applicable exchange rate includes all fees and charges related to your use of Amazon Currency Converter for Sellers. To learn more about the currencies supported in each marketplace visit the ACCS Frequently Asked Questions. For information about the Foreign Inward Remittance Certificate (FIRC), please visit this help page (sign-in required). Product ID: A global identification number such as a UPC, EAN, or ISBN number. Product title: A concise description of the product. Bullet points and product description: Bullet points briefly list the top product features and catch the customer’s interest. The product description provides detailed information about the product.Use a third-party currency conversion service. Product images: Clear photographs of the product that show as much detail as possible. Images should be at least 500x500 pixels in size, although 1000x1000 pixels is recommended when you want your product to be viewed in detail. Some categories may have different image size requirements, so refer to the guidelines in Seller Central. Search terms: Keywords that someone looking for your product might enter in the Search field. You can provide several search terms. Note: The quality of your listing will affect how often your item appears on searches and so the likelihood that your product is purchased. That’s why it’s important to invest time and effort in producing high-quality listings to improve your sales potential. If you have a small inventory (fewer than 100 products), it may be easier to use the Add a Product listing tool to list each product one at a time. Alternatively, for sellers with Professional accounts and larger inventories, you can create an inventory file and load the inventory all at once with volume listing tools. It creates listings in multiple target marketplaces based on products you are selling in the source marketplace. Whenever you add a listing or delete a listing, it updates listings in the target marketplaces. It adjusts prices in your target marketplaces based on changes you make to the source marketplace prices, according to pricing rules you set. It adjusts prices in the target marketplaces to reflect exchange rate fluctuations with the source marketplace currency. For more details, watch How to Build International Listings. If you already sell in the EU, try Build International Listings Now. An alternative way to fulfill your international orders is to use Fulfillment by Amazon (FBA) in the country corresponding to the Amazon marketplace where you are listing your products. Using FBA will require importing your products to another country for storage in an Amazon fulfillment center to sell them to customers in that marketplace. The one exception to this case is if you already sell in one of Amazon’s European marketplaces and fulfill with FBA in that marketplace. In that case, you can fulfill your orders from other EU marketplaces using your current FBA account through the Pan-European FBA, the European Fulfillment Network or Multi-Country Inventory. Yes, products need to be imported into the U.S. Yes, products need to be imported into Canada. Yes, products need to be imported into the country where the FBA fulfillment center is located. No, goods don't need to be imported intra-EU. If seller uses FBA, seller can use FBA international programs. Yes, products need to be imported into Japan. Yes, products need to be imported into Mexico. The following section covers what you need to know in order to plan for the import process. As covered in Register and launch, you will first need to create a seller account in the Amazon marketplace where you want to sell, then enroll in FBA in that marketplace. For more information about selling internationally and using FBA, please refer to Amazon’s help pages on Seller Central, including reminders about your obligations when using Fulfillment by Amazon. If you have not completed your first shipment to Amazon before October 10, 2016, we invite you to start shipping to an Amazon U.S. fulfillment center after December 19, 2016. Create listings in Seller Central. Prepare a commercial invoice indicating that you are the importer of record. Choose a customs broker (this service may be offered by your carrier). Ship the products from the factory or warehouse to the port. Clear the products through customs for export. Load products onto a carrier for transport to the destination port. Ship products to the destination port and offload them. Clear the products through customs for import. Load products onto carrier for transport to fulfillment center. For more details on rules and regulations for inbounding inventory to an Amazon fulfillment center, including requirements for floor-loaded LTL/FTL shipments, please visit the following Amazon help page. US FBA Export is a program available through Fulfillment by Amazon FBA that can help you grow your international business. When you opt into FBA Export, your eligible products become available for export. When international customers place orders, Amazon picks, packs, and ships the product straight to the customer. At no additional cost, Amazon handles the complexity of shipping products internationally. Customers visiting Amazon.com can search, browse, and find your products. At checkout, the customer pays for the order, which includes international shipping, an import fee deposit (Duty), and the product cost. If a customer has any questions regarding the order, the customer can contact Amazon Customer Service. If the customer has returns, the customer can go through the normal returns process for Amazon, and Amazon Customer Service provides the return instructions. No extra fees will be charged to sellers. Click Setting, and then click Fulfillment by Amazon. Scroll down to Export Settings, and then click Edit. Click FBA Export, and then upload a signature. Click Reports, and then click Fulfillment. In the left pane, under Inventory, click Show more. Note: Inventory updates may take up to 2 weeks to appear in the report. 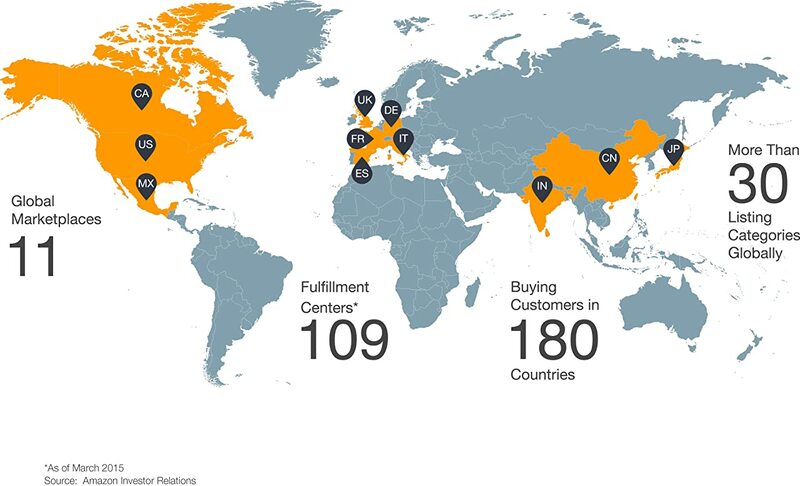 Selling in Europe offers an opportunity to leverage Amazon's fulfillment network. Not only is listing simplified with a single Amazon European marketplace account, but cross-border sales are also easier to manage with Fulfillment by Amazon (FBA). In Europe, FBA offers three international fulfillment programs: Pan-European FBA, the European Fulfillment Network (EFN) and Multi-Country Inventory (MCI). The Pan-European FBA program allows you to fulfill offers in all European marketplaces from one inventory pool without incurring per-unit cross-border Fulfillment Fees for the European Fulfillment Network. Amazon will distribute your inventory across the European fulfillment network at no additional cost. You can track your Pan-European FBA offers using all standard reports and tools in Seller Central. Once you enable Pan-European FBA in your Fulfillment by Amazon Settings in Seller Central Europe, Pan-European FBA will become active for a product only after you create an active FBA offer in each of the Amazon European marketplaces (Amazon.co.uk, Amazon.de, Amazon.fr, Amazon.it, and Amazon.es) from the same inventory pool and enrol the ASIN in Pan-European FBA. Choose the country to which you wish to ship Pan-European FBA ASINs. Amazon may then move this inventory across European fulfillment centers at its discretion at no additional cost to you. This helps inventory be as close to customers as possible. Learn more about Pan-European FBA. You ship your inventory to fulfillment centers in your home or local marketplace in Europe—for example, in the U.K.
You list the products in one or more of the Amazon European marketplaces—for example, on Amazon.de (German language website). Customers across Europe can order your products, and Amazon fulfills those orders from that single pool of inventory. For example, when a customer in Germany purchases your product on Amazon.de, the product is fulfilled by Amazon and shipped from your inventory pool in the U.K. If you are registered for Fulfillment by Amazon, you’re able to use EFN with no additional registration or startup costs. Simply add your listings to each Amazon European marketplace where you want to sell. When those products sell, you pay a fee for each order shipped outside your home marketplace through EFN, in addition to your other FBA fees. Learn more about EFN Fees. You can reduce the time it takes for an order to get to your customer by using Multi-Country Inventory (MCI). MCI is an optional international fulfillment program offered through Fulfillment by Amazon (FBA) that helps you grow your international sales by making your offers more competitive. With MCI, you send your most popular inventory directly to the countries where customers are buying, so the products are close to your customers. When customers order your products, Amazon can ship and deliver them faster. Even if you fulfill domestic orders yourself, you can gain a competitive edge in the international marketplaces where you sell by fulfilling locally with MCI. You can either choose to fulfill your entire listings or just your bestselling items locally through MCI—there are no minimum requirements. In order to take advantage of MCI, you can create offers in any Amazon European marketplaces with Amazon's Build International Listings tool. When you enable MCI, you will be able to select from the available countries to send inventory. When you expand your business to an Amazon marketplace outside your home country and fulfill with Fulfillment by Amazon (FBA) or a third-party fulfillment provider, you'll need to understand your obligations in the import/export process. Although you may want to handle some or all of these import/export steps yourself, it can be easier to hire a logistics provider such as a customs broker or a freight forwarder to handle the process for you. These providers may have the expertise and the time to make sure your inventory moves from one place to another in a timely and secure manner. Tip: If you use FBA in a marketplace outside your home country and you wish to use the services of a logistics provider, the best practice is to contact one as soon as you sign up for FBA. The process for completing the necessary paperwork can take some time, and you do not want the process to delay getting your products into customers' hands. If you engage the services of a customs broker or a freight forwarder to help you move inventory from one country to another, you must engage them directly. You must also directly make the arrangements for establishing the importer or exporter of record. Amazon cannot act in that capacity or make these arrangements for you. Exporter of record (EOR): Generally, the shipper is the exporter of record. Amazon will not act as the exporter of record. You may be able to contract with your customs broker or freight forwarder to act as the EOR. Importer of record (IOR): The importer of record is responsible for ensuring that the shipment is successfully imported into the destination country. Responsibilities include filing legally required documents and paying assessed import duties and taxes. It is important to note that Amazon, including the fulfillment centers, will not serve as the importer of record for any shipment of FBA inventory. Any FBA inventory shipment attempting to make entry with Amazon as the IOR will be refused and returned at the shipper's expense—no exceptions. In some countries, a nonresident (foreign) IOR can arrange entry of goods. To become a nonresident IOR, please contact your customs broker or carrier for details. Important Note: It is your responsibility to comply with all import and export laws and to ensure the imported goods comply with applicable laws and regulations. You may not import prohibited or restricted items without all required permits and authorizations. For example, the import of certain agricultural, food products, alcohol, plants and seeds, fish and wildlife products, or medication into the United States may be prohibited or restricted. Power of Attorney: When you sign a Power of Attorney, the customs broker or freight forwarder is authorized to act as your agent to get your inventory moved through the customs process. Importer of Record registration: Register as an IOR with customs authorities in the country where you are importing inventory. Amazon, including our fulfillment centers, will not serve as an IOR for any shipment of FBA inventory. This applies to shipments of any size or value, regardless of origin and product. Any FBA shipment attempting to make entry with Amazon as the IOR will be refused and returned at the shipper's expense—no exceptions. Terms and conditions: The customs broker should spell out terms for you to help you understand who is responsible for the goods at every step of the shipment process. Duties, taxes, and shipping costs: Amazon will not be responsible for or collect any duties, taxes, or shipping costs associated with FBA inventory. All shipments are required to use Delivered Duty Paid (DDP) shipping terms. Any shipment arriving at an Amazon fulfillment center with collect charges, including any duties, taxes, or shipping costs, will be refused without further concession. Please ensure your contact information is included on the shipping documentation in case there are questions regarding your shipment. Although Amazon will not serve as Importer of Record, it may be listed as ultimate consignee on your shipping documentation—but only if "in care of" is listed before the name of the Amazon entity. If you list Amazon as the ultimate consignee, your customs broker must contact Amazon at sellerimports@amazon.com in advance of shipping any inventory to obtain the EIN or Tax ID # required for customs clearance. The names of the buyer and seller, including addresses (Amazon should not be shown as the buyer or the seller on the commercial invoice). The name and complete address of the seller or manufacturer. The ship-to address. Here, enter "In care of," and then the name and address of the Amazon fulfillment center where you are shipping the goods. Importer of record. This field must contain the shipper's name, if it is the same as the owner of the goods. Do not leave this information blank; this will result in the shipment being refused and returned. Total value of each product. For samples or products with no commercial value, a nominal or fair-market value must be stated for customs purposes. The terms of the sale. Note that correct terms must be Delivered Duty Paid (DDP). The shipper or FBA seller should pay all applicable duty and taxes and be responsible for clearing customs before delivery to the Amazon fulfillment center. You are not authorized to import goods in the name of Amazon or to show Amazon as the declarant, or importer of record on the customs entry documentation. Shipment tracking number. For shipments to Amazon fulfillment centers, include the Amazon FBA Shipment ID that you receive when you create the shipment in your Amazon seller account. The shipment tracking number can also be an air waybill number if you are sending the package via a carrier service such as FedEx or UPS. Note: Pallet differences exist between the United States, the United Kingdom, and European marketplaces. Arrange to have your shipments palletized before they arrive at the fulfillment center whenever possible. Amazon's fulfillment centers will accept floor-loaded shipments but only if you request it in advance when you set up your shipment to the fulfillment center. Additional charges may apply if the floor-loaded shipment requires extensive handling. Make sure that your shipments comply with Amazon's policies regarding inbound shipments. If Amazon refuses to accept your shipments, you are responsible for removing the shipment from the fulfillment center. For shipments that are less than a half pallet of loose cartons, each of which weighing less than 15 kilograms, you may find it better to ship your products through a courier service. The carrier you use may depend on the destination country because carrier services vary. If you do choose to ship your inventory to a fulfillment center via a carrier service, you should check with the carrier to verify that it can clear your goods through customs based on the commercial invoice you provide. If the carrier cannot clear your goods based on the commercial invoice, then you may need to contact a customs broker. We suggest you contact your freight forwarder or courier in advance of shipping any inventory to understand its fees and requirements. Amazon is unable to return inventory stored in Amazon's fulfillment centers to an address outside of the original import country. Further, FBA does not support pick-up options for sellers at Amazon fulfillment centers. If you wish to have FBA inventory returned to you, you must supply a return address in the country of import in the Create Removal Order form (sign-in required). Amazon has set high standards for itself and sellers when it comes to customer focus. A great shopping experience for customers includes finding and ordering products with ease, getting fast, free shipping, and providing excellent customer support on orders and returns. When you choose to fulfill customer orders yourself, it’s not just the picking, packing, and shipping to customers that you’ll need to handle; Amazon also requires that you handle customer support. This can be challenging if you are selling in an Amazon marketplace where you don’t know the language. You may be tempted to use automated computer translators to respond to email inquiries from international customers. However, a risk to this approach is that machine translation may lead to less-than-optimal translations, which in turn could lead to a poor customer experience, ultimately affecting your seller performance ratings. A better option, if you do not have in-house customer service capabilities in the local language, is to use third-party service providers to handle your customer support. Customers expect prompt, helpful service when they have questions or concerns about your products. To maintain a healthy seller scorecard, you should have customer service specialists who understand your products, that know where the customer's product is and when it will be delivered, and who will be able to respond quickly (within 24 hours) to customer e-mail contacts in the local language. This may be challenging when selling in marketplaces that are in different time zones from your place of business, as the time differences will shorten the timeframe in which you can respond to customers during your regular business hours. There are many online resources that can help sellers with customer support. Here are a few links other sellers have found useful organized by region. When you use FBA, Amazon will provide 24-hour customer support on your behalf in the local language of the relevant marketplace. For many sellers, this feature of FBA is critical to selling in international marketplaces successfully. With local language customer support already included in FBA, you can provide your customers with Amazon’s world-class customer service, and you can focus on growing and managing your business. When listing in an international marketplace and fulfilling items on your own, you must either provide customers with a local return address within the country of their Amazon marketplace website or offer them free shipment for returns. This is a requirement to sell on Amazon's marketplaces. Using Fulfillment by Amazon: When you choose FBA, Amazon will handle local returns on your behalf for FBA orders in that marketplace, so you don't have to worry about providing a local return address. Implementing restocking fees and offering partial refunds: In certain situations, it might be appropriate to charge the customer a restocking fee or offer a partial refund on the product being returned. Restocking fees or partial refunds must comply with Amazon's policies on returns, including the Returns and Restocking Fees policies. Engaging a third-party International Returns Provider: We have created a list of returns providers that can accept returns in your customers' countries. Depending on your sales volume and unit price, international returns providers may offer solutions that reduce the costs you incur when customers in other counties return your products. For example, some providers will consolidate returns and ship them back to you or ship them to another customer. You can find our international returns provider list by choosing Additional services in the menu to the left. When you choose FBA, Amazon will handle local returns on your behalf, so you don’t have to worry about providing a local return address or changing your pricing to incorporate international returns shipping.